Intumescent coatings are often required to help maintain the structural integrity of buildings or protect surfaces in the event of a fire. We are certified and understand the necessary products and processes, and know the mil thicknesses necessary to provide the proper fire ratings to meet code and specification requirements. 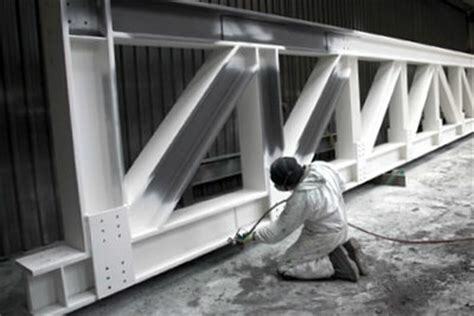 Our relationships with manufacturers who specialize in this type of coating, our inventory of the proper equipment and tools to apply such coatings, and our craftsmanship in working with this more challenging material type, makes PA Coatings the right choice for your intumescent coatings projects. –Downey HS Auto Tech Building, 11040 Brookshire Ave., Downey, CA; Erickson-Hall Construction Co.
PA Coatings has 12 years of commercial painting, coatings and construction experience. 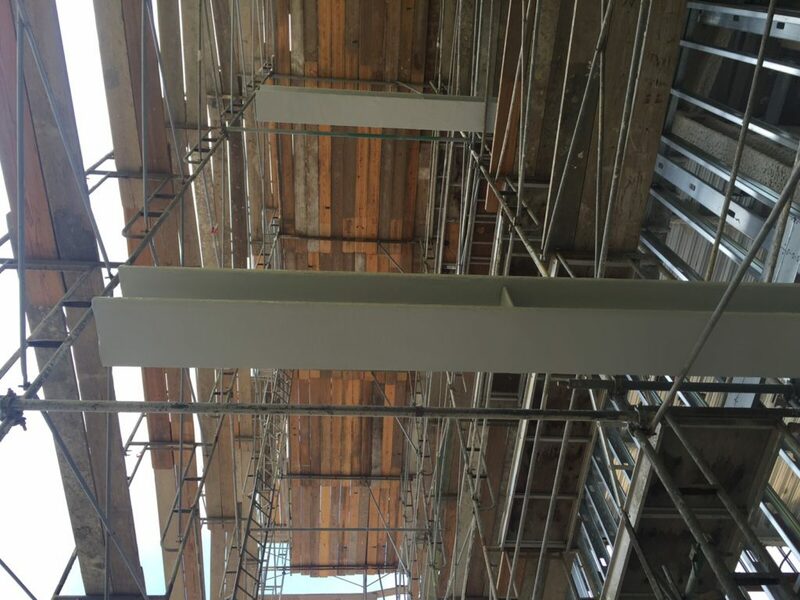 We install intumescent coatings to structural steel and other surfaces. 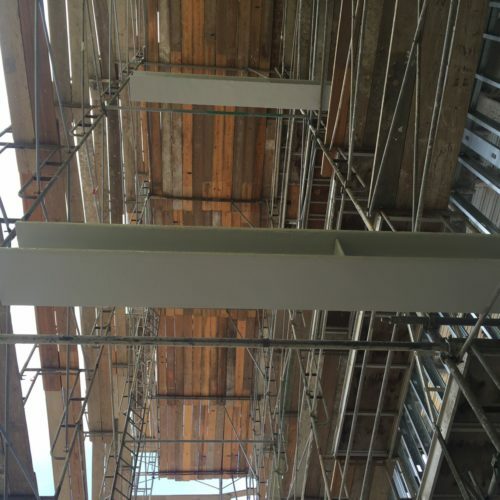 We understand the various ratings and coating systems to meet the fire-rating needs of your project. You can have FAITH in PA Coatings. How do we know how to get a 1-hour or 2-hour rating coating system on steel with intumescent coatings? We always rely on manufacturer’s recommendations. Typically, we are required to apply a certain amount of mils thickness of coating to steel members, and the mils required for the necessary rating are different for different types and shapes of steel members. We verify at various locations across the coating-applied member with a mil-thickness reader to ensure we have reached the necessary thicknesses. Intumescent coatings always seem to turn out rough, how do we apply an attractive finish especially where the steel is an architecturally exposed element? Intumescent coatings require a lot of mil thickness, and since coatings and paint are fluid, that means the finishes are susceptible to stipple, drips, sags, and any number of imperfections. These coatings are not ideal for architecturally exposed features but often it’s necessary. Depending on the product, we can spray thin coats, wait for an appropriate hardness to sand, and repeat until we reach the appropriate mil thickness throughout the member. This process can take a lot of labor but provides a quality finish. Other products are only rollable and sprayable and do not sand, and our skilled and trained painters apply a finish that truly exceeds our competition.